I was delighted to once again participate in the Grand Cru Culinary Wine Festival, which is held every October in Toronto. Grand Cru attracts many of the biggest names in food and wine for a weekend-long series of events, tastings and dinners, all held to benefit the Toronto General & Western Hospital Foundation. The highlight of Grand Cru takes place on Saturday night, when thirty couples host some of the world’s most acclaimed chefs and vintners in their homes for a series of intimate dinners. 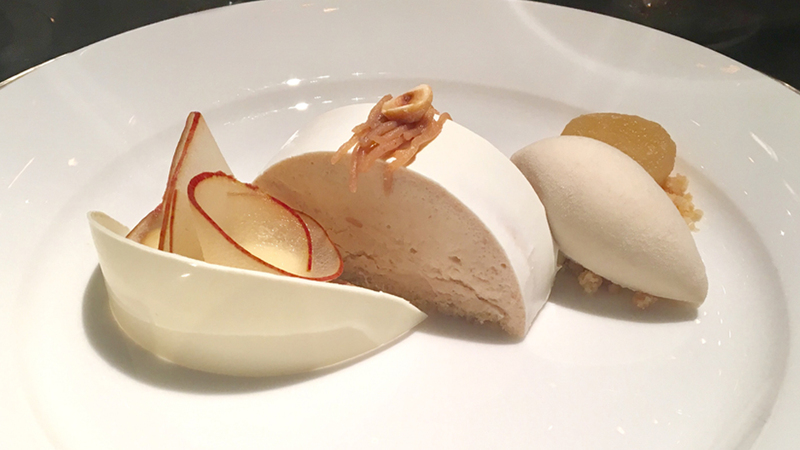 This dinner raised an astounding C$1.2m for charity. Todd and Ellen Halpern, Daniel Greenglass and Joseph Brennan hosted the evening. Dr. Tirone David, one of the world’s most renowned heart surgeons, was our guest speaker. Dr. David spoke eloquently about the differences between the Canadian and U.S. healthcare systems, and the factors that ultimately drove him to settle in Toronto. It was a fascinating presentation. I could have listened to him speak all night. Later on in the evening, I shared my thoughts on this truly remarkable collection of wines. 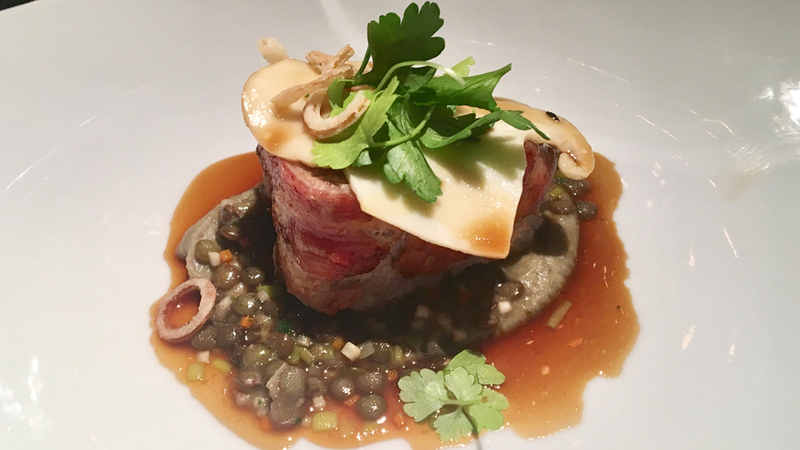 Chefs Jason Cox of Opus Restaurant in Toronto partnered with Daniel Boulud and his colleagues, Riccardo Bertolino of Maison Boulud in Montreal and Ashley Brauze of Café Boulud in New York City, to create a sumptuous menu full of highlights. I have been to more than my share of these gala dinners. More often than not the food is good, but rarely great. On this night, the chefs cooked a superb meal that could have been served in any of the world’s finest restaurants. And they did it working out of a garage in a private home. 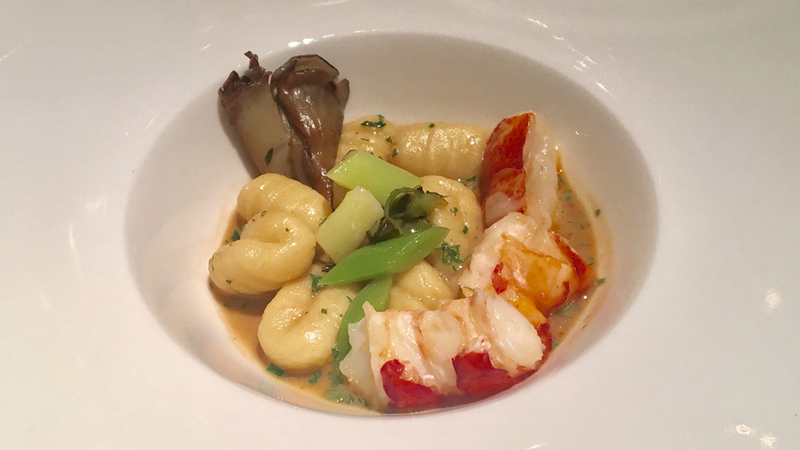 The Gnochetti; Lobster, Leeks and Hen-of-the-Woods Mushrooms and the Pancetta-Wrapped Tuna with Sage, Lentils and Matsutake were just two of the dishes that were sublime, but the entire menu was memorable. 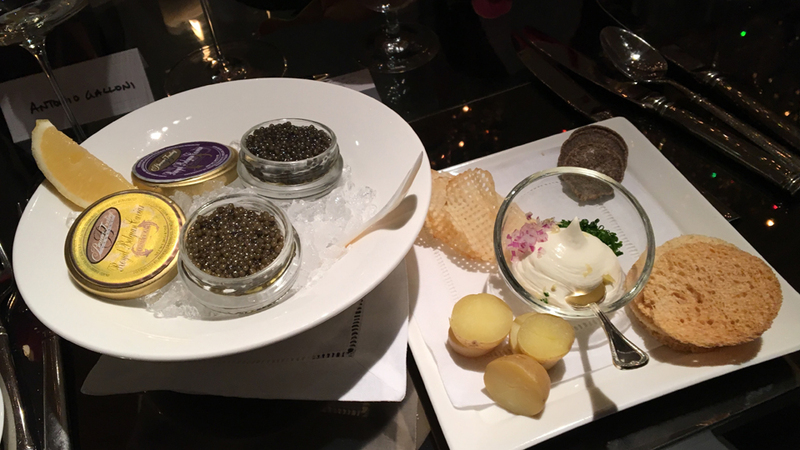 Sommeliers John Slover of the newly opened Grill and Pool Room in New York City and Drew Walker, Wine Director at Café Boulud Toronto, made sure all the wines were served in optimal condition. Remoissenet’s 2013 Montrachet is surprisingly delicate and introverted. Perhaps I caught it an awkward stage, but the 2013 comes across as quite shy, with little of the exuberance that is so typical of Montrachet. The magnum format may have contributed to the 2013’s showing. Burgundy fans know Domaine de la Romanée-Conti’s Bâtard-Montrachet is a very rare bird, as it is not sold commercially and is almost always reserved only for tastings at the domaine. The 2003 is unusually shy, both for the vintage and within the context of Bâtard. Perhaps the most impressive thing about the 2003 is how fresh it still is. Candied lemon and floral notes abound, with just a dash of more overt, tropical undertones. The 1997 La Tâche is a very pretty wine for current drinking. 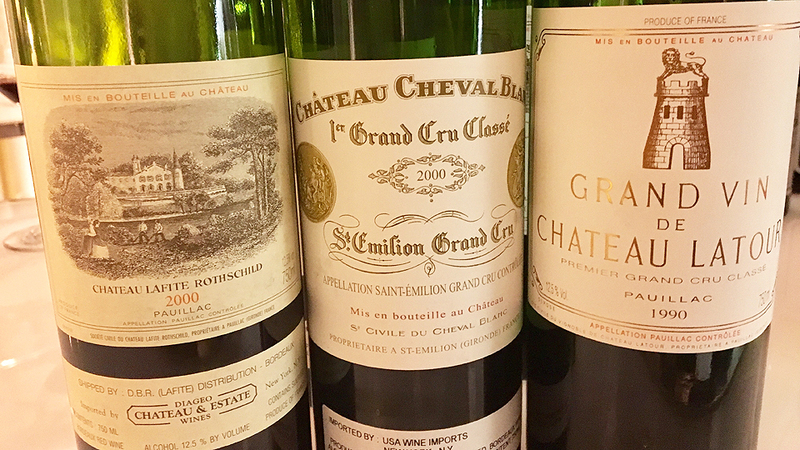 There is some variation between the several bottles I taste, but the conclusion is the same: the 1997 is a wine to drink over the near and medium-term, before the fruit dries out too much. Although its balance is somewhat precarious, the 1997 does offer and appealing range of floral and savory notes to match its mid-weight personality. I am surprised by how delicate the 2002 La Tâche is, especially from magnum. Bright, crystalline and nuanced, the 2002 speaks more to energy and finesse than the more powerful, resonant expression of the year that is found in so many other 2002s. I like the 2002 a lot, but I don’t love it. 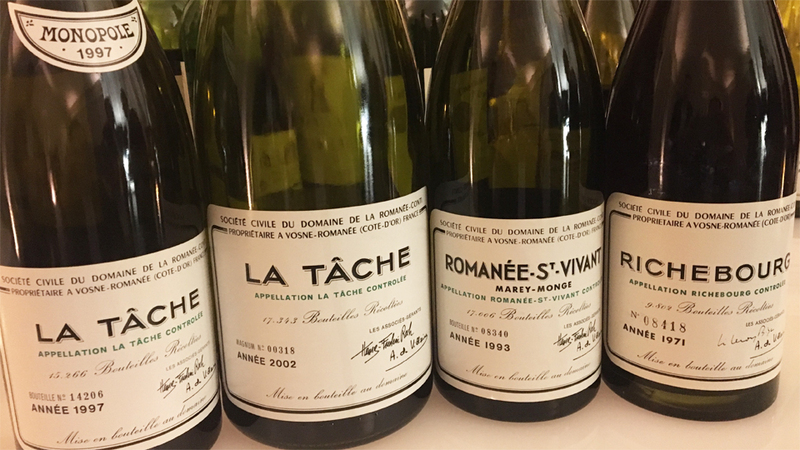 An absolutely gorgeous wine, the 1993 Romanée St. Vivant is sinewy, nervous and beautifully persistent, with all of the aromatic intensity that makes wines from this site so compelling. Deceptively medium in body, the 1993 offers terrific depth and pure pedigree. Two years ago, in this room, I tasted the 1971 La Tâche from jeroboam, a wine that remains indelibly etched in my mind as one of the greatest Burgundies I have ever had the privilege of drinking. The 1971 Richebourg evokes vivid memories of that wine. Although it is not as profound, the Richebourg offers notable sensuality and captivating allure from the very first taste. Blood orange, cranberry, mint, rose petal and anise add shades of nuance to this ethereal, utterly sublime Burgundy. The three Bordeauxs served with dinner are all stellar. At any given moment during the evening, my favorite shifts, as all three wines are stunningly beautiful. The 2000 Lafite-Rothschild is utterly sublime. Delicate, sensual and wonderfully nuanced, the 2000 is majestic. The purity of the fruit is simply striking. A wine of exquisite aromatic depth and grace, the 2000 Cheval Blanc is fully captivating. All the elements fall into place in an effortless, gracious wine. It’s frankly hard to move past the 2000 Cheval, because at this point, I want nothing to compete with it. Then, the 1990 Latour arrives. Powerful and dense to the core, the 1990 possesses superb density for a wine of its age. Despite its considerable depth, the 1990 remains light on its feet for such a big wine. I imagine the 1990 Latour will drink well for another thirty years. What a wine. With that, the assembled guests begin to disperse into the cool fall night, but not before having shared a wonderful evening of wine, food and conversation. 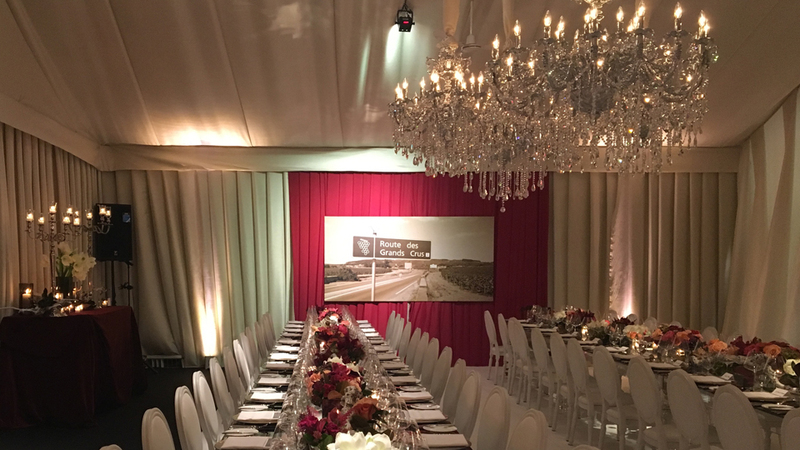 Grand Cru remains one of the most convivial events of its kind because the level of food, wine and hospitality are first-rate. Moreover, Toronto exudes a level of warmth that makes it a true pleasure to spend quality time with our many friends there.